Champagne brand Laurent-Perrier has devised a unique 1920s-themed venue for those attending Wilderness Festival from 6-9 August. 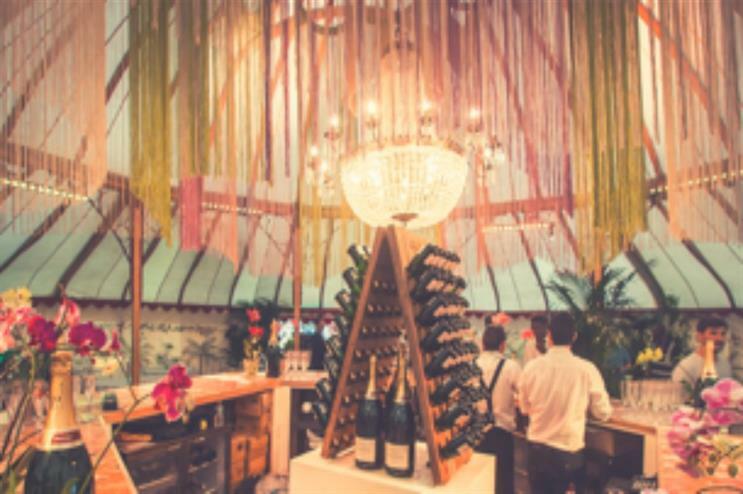 From 12pm each day, the Laurent-Perrier Orangery will transport festival-goers back to the famous Art Deco era, serving up the brand’s champagne in a setting complete with exotic plants, candelabras and birdcages. Come nightfall, a 1920s host coined Champagne Charlie will deliver the entertainment courtesy of The Candelight Club, including flapper girls, burlesque performers and a house band. Amid the beverages and entertainment, guests will be able to take advantage of The Orangery’s postal service, which allows them to purchase bottles of Laurent-Perrier champagne to enjoy at a later date. The venue seeks to facilitate conversation among attendees based on the epicurean vision that building new friendships is the basis of a satisfying life. Daniel Brennan, head of marketing at Laurent-Perrier, said: "Wilderness is the perfect opportunity for Laurent-Perrier to really present our fun and playful side. The Orangery is the place to be at Wilderness to enjoy champagne, relax and unwind."